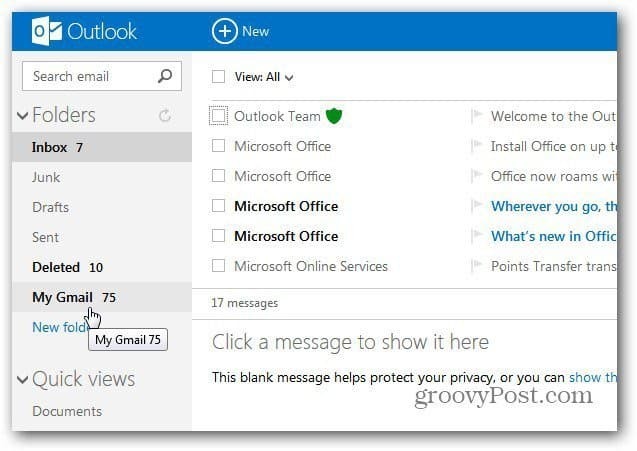 This week Microsoft launched the new revamped Hotmail email service, officially called Outlook.com. You don’t have to only use your Microsoft account with it though. Here’s how to add Gmail to the new email service. First, click Settings (gear icon) and select More Mail Settings. On the Options screen click Sending / Receiving Email from Other Accounts. Now, click Add an Email Account under You can Receive Mail from These Accounts. On the next screen, before entering in your email address and password, click Advanced Options. Whether you want to check the box to leaving a copy of your messages on the server is up to you. Personally, I keep it checked so I’m able to pull up old messages if I need them. After entering in the advanced items, click Next. Now select how you want the Gmail messages to appear. You can have them show in your Inbox or a separate folder. I like to keep my accounts organized, so I have it create a separate folder. When you’re done, click Save. 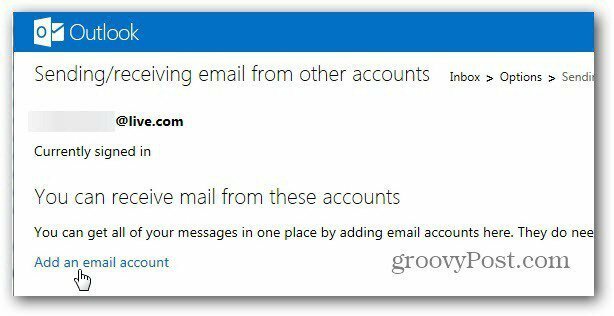 You’ll get a confirmation message from your Microsoft email account. Click the link to confirm you’re the owner of it. 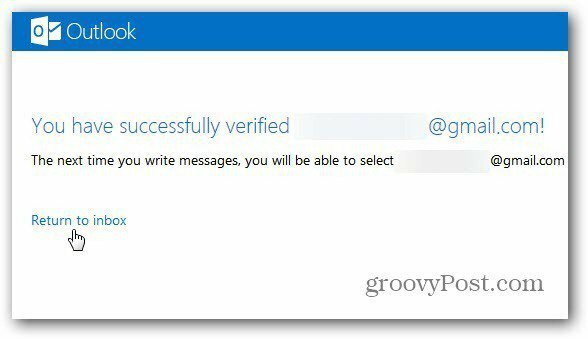 After successfully verifying your account, click Return to Inbox. There you go! 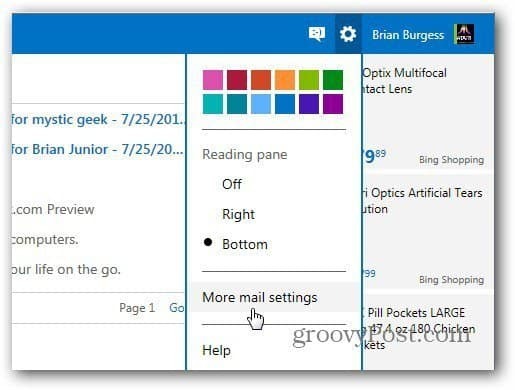 Now you’ll see your Gmail messages in your Outlook.com Inbox as a separate folder. 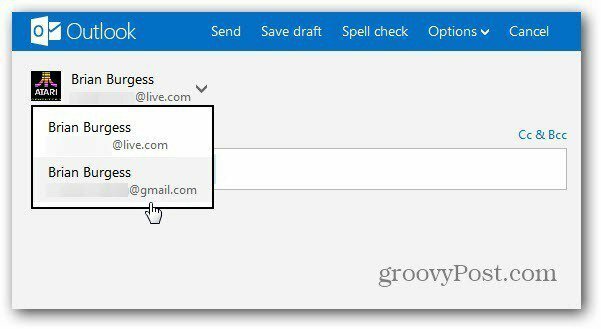 Now when you compose a new message, you can select to send it from your Microsoft or Gmail account. If you’re using a Google Apps account, the settings are the same. 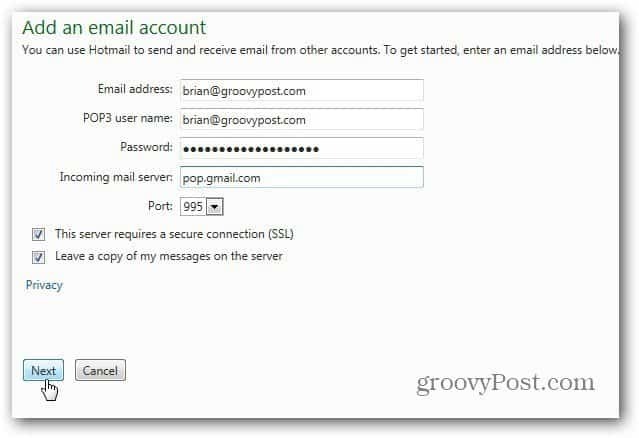 Just make sure to enter your full Google account email address for the email address and POP3 username. If you want to remove the account for any reason, go to the Send / Receive options and click Remove. 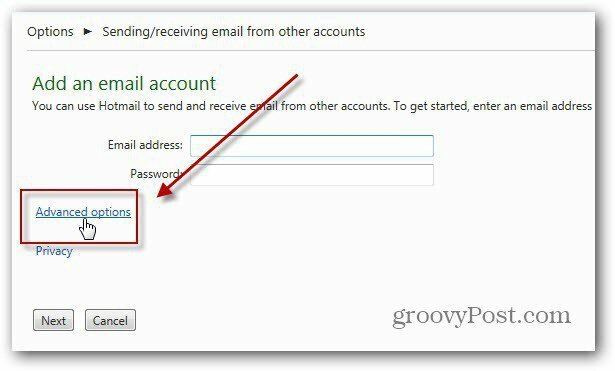 Here you can also change which email address is used as the default. Thanks alot brian. This is exactly what i was looking for. You bet. It works pretty slick. I created outlook with gmail, now i can use hotmail all features, and i cannot receive anymail to it,even the mail is activated. what is my live mail id. Hi Sanjay – Say again? I don’t quite follow you on this one. 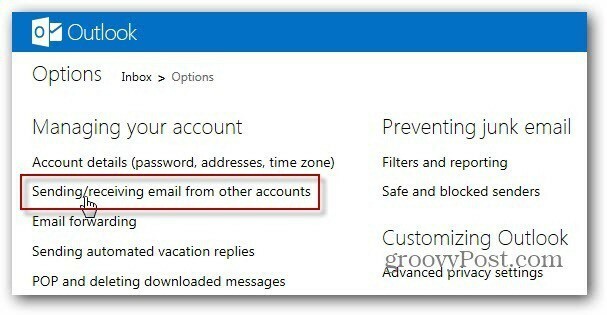 I created a account in outlook.com with my gmail id. 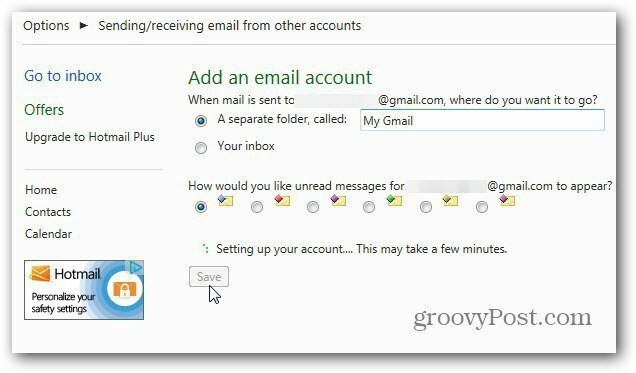 Now i can login to outlook with my gmail id. The account it self is showing my gmail id. and i cant find any specific mail to outlook.com. 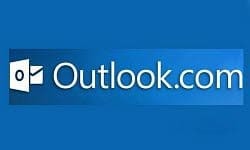 For ex my gmail id sanjay**@gmail.com I created outlook with my existing mail id successfully in outlook.com. NOw out look shows my mail id as same as gmail. and no toher mail is receiving to it. 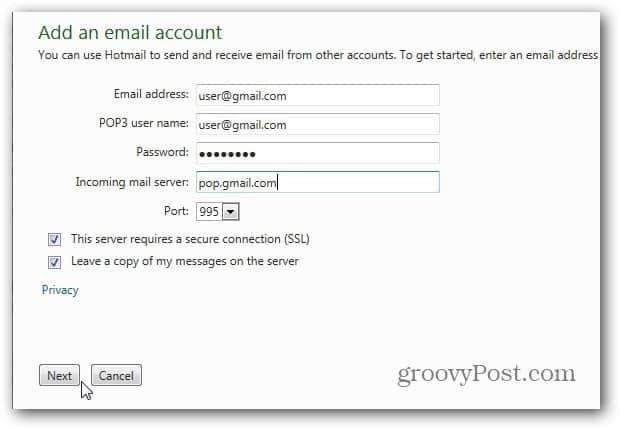 i created outlook mail using gmail while signing up to webmaster tools. Give it a try. Really cool tip, as always ;) Ok, I know the answer to my question is NO! but what the heck? Is there any way to add a Yahoo account??? I will look into that. Not sure if you’d need to have Yahoo Plus or not. I haven’t used Yahoo in so long…I will definitely look into it though. Thanks for the great idea Elvira! I got this error when trying to add my Gmail account: “Check your email address and password, but the problem may be that you need to go to Gmail’s settings page and enable “POP Download”. This means that outlook.com attempted to login with my Gmail credentials to download my mails but Gmail is blocking it thinking that it’s a suspicious activity. Thank you for pointing out the “Was It You” bit, otherwise I would have had to continue tearing my hair out going through all the irrelevant steps and info in the actual “suspicious” email message from Gmail.